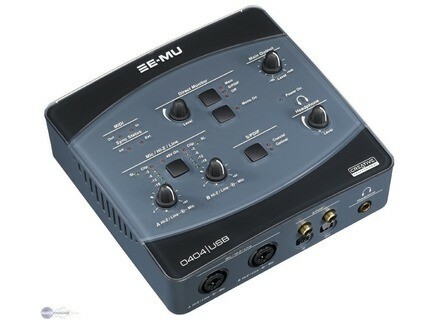 0404 USB, USB audio interface from E-MU. 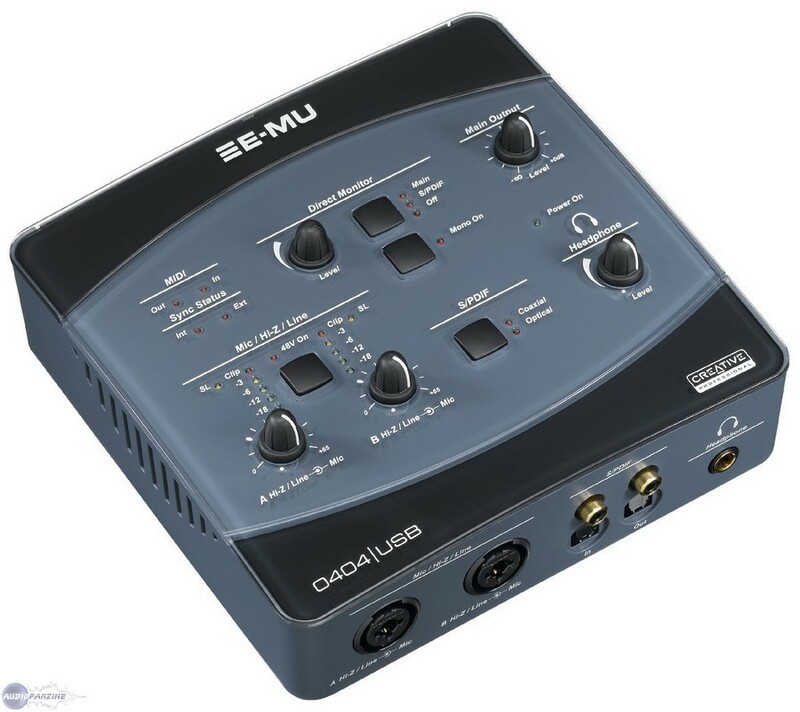 E-MU Systems has announced the release of new “Beta” drivers for users of their USB and PCI/PCIe audio interface products. These beta drivers will allow E-MU customers to continue to use their E-MU products with the latest Mac and PC operating systems. A new Macintosh Beta driver is also available for owners of E-MU 0202 USB, 0404 USB, and Tracker Pre USB products. This driver is compatible with Macintosh OS X 16.5 and above (Leopard & Snow Leopard). Owners of E-MU 0404 PCI/PCIe, 1212M PCI/PCIe, 1616/1616M PCI/PCIe products may download a new public Beta driver for use in Windows XP, Windows Vista, and Windows 7 32-Bit & 64-Bit versions. • There is a known issue where the Sample Rate Sync Locked light does not light up in the USB control Panel on some systems. • External Sync with 0404 USB not working correctly. Can not use the external S/PDIF of the 0404 USB and can not set USB Control Panel to External Sync mode. • Download is an executable file that contains just the driver. Works with PatchMix v2.1 or greater. You should be able to run it and install it over the top of any existing driver version. • Some XP users may get asked for permission to replace/overwrite two files. Allow the files to be replaced. • While this driver should also work for legacy products such as the E-MU 1820, 1820M, 1212 v1, Sync Daughter card and the 02 CardBus PCMCIA card, they have not been tested. These products have been discontinued and will no longer be part of any new software or hardware development nor will they have any further specific updates. Reforge for the iPad Reforge for iPad is described as "the Swiss army knife for audio files on iPad": Edit the waveform directly by touching it. Ask Video Computer Terms iPhone App ASK Video follows up their release of Musical Terms, glossary of music words and phrases and their definitions for iPhone OS, with Computer Terms, a database of terms, phrases, and definitions related to computers. Prime Loops R&B Beat Programmer Prime Loops has released its new R&B Beat Programmer collection.